At times you may be walking on the streets looking for a café and end up passing a couple of them without knowing. Facebook Inc (NASDAQ:FB) believes that it shouldn’t be so, if a business chooses to target users based on their current location. In a new platform, the social media company is making it possible for advertisers to target users who are around their businesses. 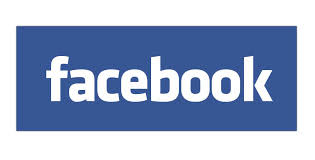 The ad option will be available for users who have allowed Facebook Inc (NASDAQ:FB) to track their whereabouts. Users who haven’t allowed the company to monitor that information will just be targeted based on the locations they list on their account. “People have control over the recent location information they share with Facebook and will only see ads based on their location if location services are enabled on their phone,” the company said in a blog post. This new revelation joins several others that Facebook Inc (NASDAQ:FB) has introduced to give more value for advertisers and to raise its revenue. Just recently, the tech giant unveiled a tool that enables advertisers to know whether users have actually seen an ad whether through mobile devices or desktops. That means users get to know more about the total number of users reached. Facebook Inc (NASDAQ:FB) is also refining Atlas, its latest advertising tool that enables advertisers to target users on more accurate details. Atlas enables advertisers to target users based on how they react to specific ads. The tool monitors more details about users; such as whether such users click given ads, whether they purchase, the kind of products they search for, and a lot more. In a quick rejoinder, the Menlo Park, California-based company has assured users that their private information is safe. That’s why the company moved to clarify that the latest location-based ads will only reach people who’ve allowed the company to track such details. This articlehas been written by Victor Ochieng.